Box Office Collections: On one side Bollywood is enjoying surprise Blockbusters like Stree. On the other end there are commercial disasters like Paltan, Laila Majnu and Gali Guleiyan that are bringing in heartbreak. Paltan was never expected to open well but still even in worst case scenario one expected a lifetime of at least 20 crore. However as things stand today, the JP Dutta directed film won’t manage even half of that as the first week numbers are only around 7 crore. This is terrible since it means audiences have not even given it any sort of chance whatsoever. There was no opening, no word of mouth and no follow through which means complete rejection. The film won’t even reach the lifetime number of 10 crore which pretty much tells the tale. Laila Majnu was no better because even though the budget was lesser, the collections are even lesser. For Imtiaz Ali and Ekta Kapoor, these are the least numbers that a film of theirs has ever collected. With mere 2.50 crore coming in, it is curtains for the musical love story which had seen good reviews coming its way but to no avail. The film won’t even hit 3 crore as the eventual total. As for Gali Guleiyan, it was always going to be a chance around whether audiences would accept this offbeat film in theatres. The makers did believe that there may be some sort of footfalls but that was not the case to be as no one even stepped in at all. With a lifetime in the range of 50 lakhs, it is hardly befitting the kind of acclaim that the film and its leading actor Manoj Bajpayee had accumulated before the film hit the screens. All three films are almost out of theatres across the country in the second week. 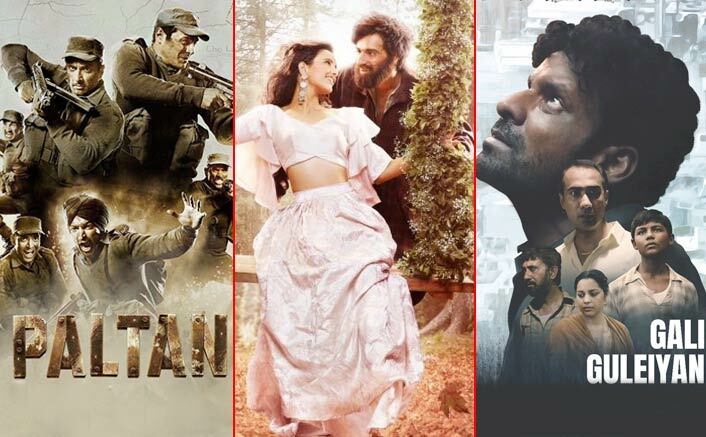 The post Box Office Collections: Paltan, Laila Majnu, Gali Guleiyan Are Commercial Disasters appeared first on Koimoi.